Although, at first glance, it might look similar to ginger, its taste and smell are vastly different. Galangal has a sharper, peppery taste and a strong citrus aroma; it gives a more earthy and citrus note to soups and curry pastes. 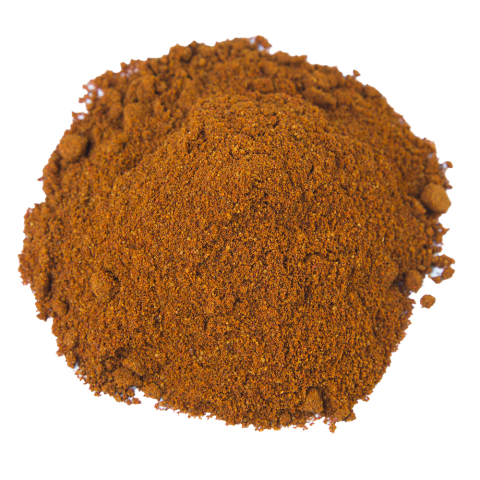 Galangal is one of a number of spices that are much more flavorful dried than fresh. If you want to make an excellent Thai soup, use dried galangal, soak briefly in warm water before putting into the soup. Greater Galangal is also known as Alpinia Galangal and is one of the four plants of the galangal family. The two most common roots of the galangal family are the greater galangal and lesser galangal. This herb is most used in Indonesian and Thai cooking. Galangal is similar to ginger but tends to be harder and denser. 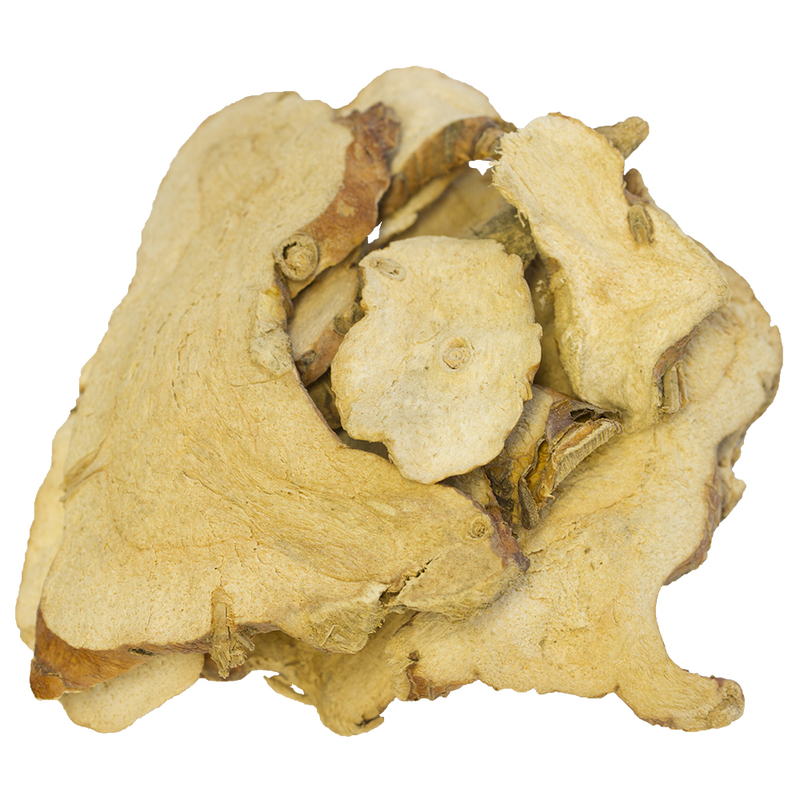 In addition to being used for food dishes, the Greater Galangal root can also be used for medicinal purposes. The greater Galangal has a more pungent taste than some of its relatives in the galangal family. Galangal can be used in a variety of Indonesian and Thai recipes. 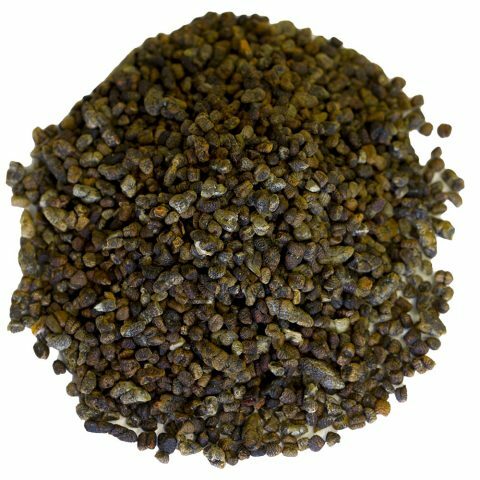 It can be purchased as a fresh root, dried root, or dried, ground powder. If used fresh, the root can be peeled, chopped, or grated and stored well in the fridge for about a week. Thai Fish Cakes: In a food processor, blend fish, fish sauce, lime leaf, red curry paste, lemongrass, coriander, egg, palm sugar, beans, lime juice, and galangal. Roll a small amount into a ball and then flatten into a disc. Repeat until all the mixture has been used and cook all fish cakes in a frying pan until golden brown. Let cook for a couple minutes each side, then enjoy. Curry Paste: Place 4 stalks finely sliced lemongrass in a blender with 6 medium hot green chilies, 3 cloves garlic, 2 shallots, 4 tbsp coriander, 1 tsp cumin, 1 tsp lime zest, 1 tbsp thai fish sauce, 1/2 tsp black peppercorns, and 2 in piece of galangal until a thick paste forms. Add to curry on seafood and meats. Galangal Tea: Boil 2.25 cups water with 1 inch crushed galangal, 5-6 lemongrass leaves, and sugar for a couple of minutes. Add tea bags and boil for a few more minutes. Add milk and boil for a minute more. Strain tea and serve! Galangal was first harvested in China for cooking and medicinal needs. 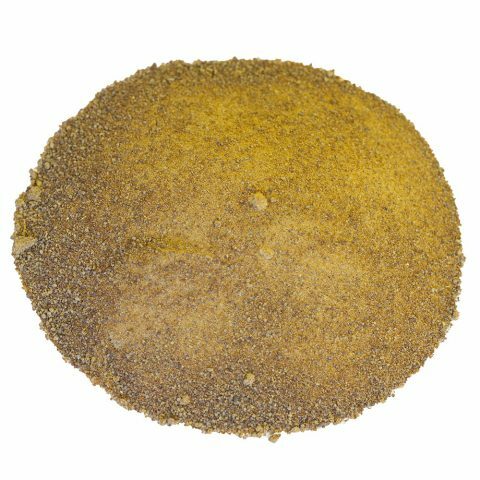 In the middle ages, it became known as the spice of life. 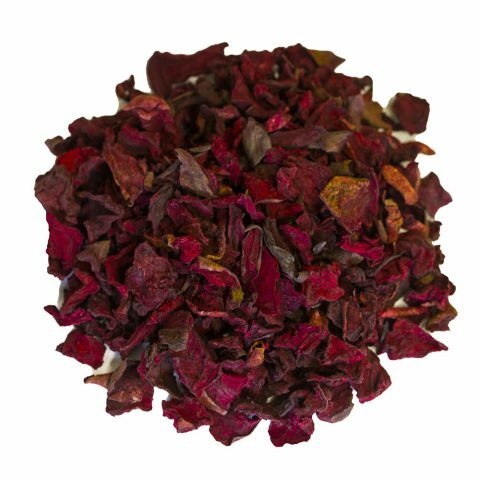 This was largely due to it being used as a remedy, as it was later used to cure diseases like indigestion, heart problems, and deafness. In the 13th-14th centuries, the Turkish people used galangal in their tea and the Arabic people used it in the compost for their horses. It can now be found in Indonesian and Thai cuisines, as well as the core medium in preparing liqueurs and vinegar in Russia. The Greater Galangal plant is seen to flourish in open, tropical climates. The plant can get as big as 6.4 ft in length and grow tuberous, branching rhizomes. They grow best when they are planted 3-5 inches below the surface. The root is often shaded with blade-like leaves that are 10-13 inches long. The soil should be kept moist. If the soil is too wet, the rhizomes could end up rotting. The galangal rhizomes should be harvested in early winter. The rhizomes are known as the root of the plant. The great galangal rhizomes are larger, round, and yellow. 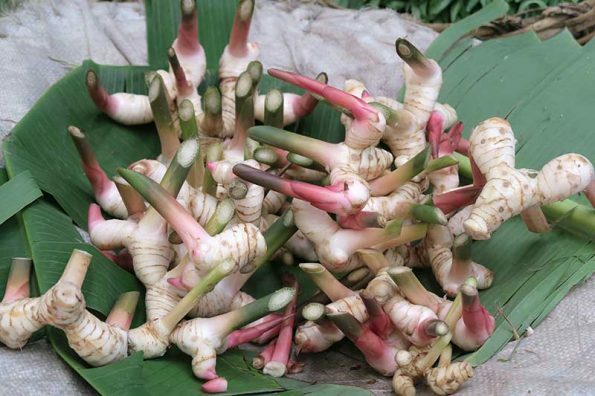 Our galangal roots are grown in the tropical climates of Indonesia and Thailand. They are harvested during the early winter months so they don’t rot. Once the harvesting season is over, they are sold and shipped fresh, dried, and powdered. They are shipped to the U.S by crates that are temperature controlled to ensure freshness. Once they have arrived on the docks of our ocean, the greater galangal roots are sold in our markets and ready to be added to our Thai dishes for exquisite flavor.